A dream is the experience of a sequence of images, sounds, ideas, emotions, or other sensations during sleep, especially REM sleep. The events of dreams are often impossible, or unlikely to occur, in physical reality: they are also outside the control of the dreamer. The exception to this is known as lucid dreaming, in which dreamers realize that they are dreaming, and are sometimes capable of changing their dream environment and controlling various aspects of the dream. Dreams have long been one of the most puzzling aspects of consciousness that humankind possesses. Both religion and science have tried to define what dreams are, where they come from, and what they mean. People all over the world throughout history have experienced and reported dreams. Some have been, or believed to have been, prophetic, messages from the spiritual world or heaven giving warnings or announcements of fortune that is to come. For some, dreams are seen as manifestations of our unconscious desires, thoughts, secrets that we repress in our waking lives but which surface as we sleep. For others, a more straightforward and benign explanation is that the brain processes the experiences of the day into long-term memory during sleep, sometimes activating a stream of data into consciousness, forming a dream. Whatever the cause, and there may be different types of dreams that result from different processes, it is the responsibility of the dreamer to act appropriately with regard to the dream experience. Setting too much store by dreams as opposed to the "reality" of the physical world has its dangers; equally, though, information received in dreams may be legitimate, whether from one's own mind or from another realm. Achieving maturity as a human being, united in mind and body, may prove necessary to be able to discern the true meaning of dreams. A dream is the experience of a sequence of images, sounds, ideas, emotions, or other sensations during sleep. 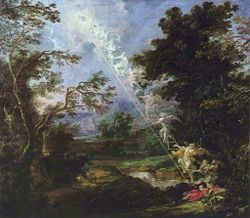 The events of dreams are often impossible, or unlikely to occur, in physical reality—people known by the person to be dead may appear, people and events occur in locations where they are not normally found, the dreamer may experience activities that are physically impossible such as flying, people known to speak another language may be comprehensible to the dreamer, and so forth. People all over the world throughout history have experienced and reported dreams. The content of these dreams, although the details vary as widely as the lives of the dreamers, nonetheless has a certain universality. Calvin S. Hall and Van De Castle published The Content Analysis of Dreams in which they outlined a coding system to study 1,000 dream reports from college students. From the 1940s to 1985, Hall collected more than 50,000 dream reports at Western Reserve University. Hall's complete dream reports became publicly available in the mid-1990s by Hall's protégé William Domhoff allowing further content analysis. It was found that people all over the world dream of mostly the same things. The most common emotion experienced in dreams was anxiety. Negative emotions are more common than positive feelings. Ethnic groups showed different percentages of dreams of an aggressive nature. The U.S. ranks the highest amongst industrialized nations for aggression in dreams, with 50 percent of U.S. males reporting aggression compared to 32 percent for Dutch men. In men's dreams 70 percent of the characters are other men, while women's dreams contain an equal number of men and women. Men generally had more aggressive feelings in their dreams than women, and children's dreams did not have very much aggression until they reached the teenage years. These findings parallel much of the current research on gender and gender role comparisons in aggressive behavior. Rather than showing a complementary or compensatory aggressive style between our thoughts and dreams, these data support the view that there is a continuity between our conscious and unconscious styles and personalities. Sexual content is not as prevalent in dreams as one might expect. The Hall data analysis shows that sexual dreams show up no more than 10 percent of the time and are more prevalent in young to mid teens. While the content of most dreams is generally experienced in only a single dream, most people experience recurring dreams—that is, the same dream narrative is experienced over different occasions of sleep. Up to 70 percent of females and 65 percent of males report recurrent dreams. Long before science and psychology, religion and cultural beliefs were developed to explain the dream phenomena. Dreams were thought to be part of a spiritual world, and were seen as messages from the gods. The Abrahamic faiths—Christianity, Islam, and Judaism—believe that there were two sources of dreams: God and Satan. Dreams are prolific in the Bible, Torah, and Qur'ān. Sometimes, these dreams are messages from God, such as of Saint Joseph, the husband of Mary, when the Angel Gabriel spoke to him in a dream and told him that the baby Mary was carrying was the Son of God. 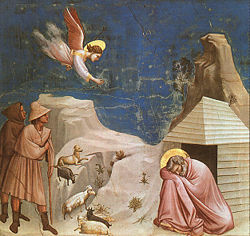 After the visit of the Three Wise Men to them in Bethlehem, an angel appeared to him and told him to take Mary and Jesus to Egypt for their safety. The angel appeared again in a dream to tell him when it was safe to return to Israel. Other times people given more obscure messages that required interpretation. Both Jacob and Daniel were all given the ability to interpret dreams by God. Likewise Joseph was given the power to interpret dreams and act accordingly, which he did for the Pharaoh of Egypt. Joseph Smith (1805 - 1844), founder of the Church of Jesus Christ of Latter-day Saints, claimed to have received a visitation from a resurrected prophet named Moroni that led to his finding and unearthing (in 1827) a long-buried book, inscribed on metal leaves, which contained a record of God's dealings with the ancient Israelite inhabitants of the Americas. In such cases, the distinction between a dream and a vision of spiritual beings while awake is blurred. Indeed, people reporting such visitations from beings apparently from the spiritual realm are often unsure as to whether they were awake or dreaming. Ancient Buddhism taught that dreams were the mental projections of a person's desires and fears, an illusory construct developed out of each person's attachment to the illusory world of waking consciousness. Tibetan Buddhism took the idea one step further, and taught that the dream state was actually one of the bardos, or transition states of conscious that was akin to the spiritual state a person goes through when they die; hence, developing consciousness within this the bardo-dream state would help prepare someone for the ultimate transition in death. In India, scholars such as Charaka (300 B.C.E.) had a similar take on dreams, believing that they were the product of the senses and natural make-up of a person. Shamanism in various cultures saw dreams and dream-like states as connections to worlds and realms of the spirit. Although there were hundreds of different shamanistic traditions, generally, dreams were considered by most to be alternate states of consciousness where people could visit different spiritual realms, engage in spiritual and physical healing, commune with deities and spirits as well as obtain special knowledge and abilities. Sigmund Freud and Carl Jung were the first to identify dreams as an interaction between the unconscious and the conscious. They both asserted that the unconscious is the dominant force of the dream, and in dreams it conveys its own mental activity to the perceptive faculty. Sigmund Freud arrived at his theory of dreams by research (though he rejected much of the prior work), self-analysis, and psychoanalysis of his patients. As his theory developed, Freud often used dream interpretation to treat his patients, calling dreams "the royal road to a knowledge of the unconscious activities of the mind." These transformations help to disguise the latent content, transforming it into the manifest content, what is actually seen by the dreamer. The basis for all of these systems, he claimed, was "transference," in which a would-be censored wish of the unconscious is given undeserved "psychical energy" (the quantum of attention from consciousness) by attaching to "innocent" thoughts. Dream analysis is central to Jungian analytical psychology, and forms a critical part of the therapeutic process in classical Jungian analysis. 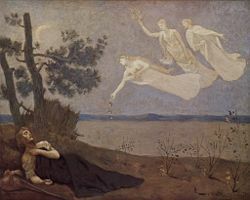 Although not dismissing Freud's model of dream interpretation wholesale, Carl Jung believed that Freud's notion of dreams as representations of unfulfilled wishes to be simplistic and naive. Jung was convinced that the scope of dream interpretation was larger, reflecting the richness and complexity of the entire unconscious, both personal and collective. Jung believed the psyche to be a self-regulating organism in which conscious attitudes were likely to be compensated for unconsciously (within the dream) by their opposites. Jung believed that archetypes such as the animus, the anima, the shadow, and others manifested themselves in dreams, as dream symbols or figures. Such figures could take the form of an old man, a young maiden, or a giant spider as the case may be. Each represents an unconscious attitude that is largely hidden to the conscious mind. Jung believed that material repressed by the conscious mind, postulated by Freud to comprise the unconscious, was similar to his own concept of the shadow, which in itself is only a small part of the unconscious. Although an integral part of the dreamers psyche, these manifestations were largely autonomous and were perceived by the dreamer to be external personages. Acquaintance with the archetypes as manifested by these symbols serves to increase one's awareness of unconscious attitudes, integrating seemingly disparate parts of the psyche and contributing to the process of holistic self understanding he considered paramount. Jung cautioned against blindly ascribing meaning to dream symbols without a clear understanding of the client's personal situation. Although he acknowledged the universality of archetypal symbols, he contrasted this with the concept of a sign—images having a one to one connotation with their meaning. His approach was to recognise the dynamism and fluidity that existed between symbols and their ascribed meaning. Symbols must be explored for their personal significance to the patient, instead of having the dream conform to some predetermined idea. Jung stressed the importance of context in dream analysis. In service of this idea, he stressed the importance of "sticking to the image"—exploring in depth a client's association with a particular image. This may be contrasted with Freud's free associating, which Jung believed to be a deviation from the salience of the image. In contemporary psychoanalysis, the role of dream interpretation has been diminished by focusing on other aspects of psychoanalytic views. Nevertheless, dreams, and their interpretation, continue to provide a powerful therapeutic focus. Many studies have underlined the importance of dreams in psychoanalysis, and therapeutic work in general. Further, a growing body of literature supports the continuity hypothesis of dreams from sleep to waking reality. 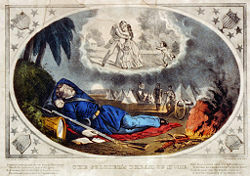 The continuity hypothesis suggest that the content of dreams is not remote from the waking reality, but, rather, portrays the most prominent feelings, interests, and concerns of the individual. During a typical lifespan, a person spends about two hours each night dreaming, a total of about six years dreaming. Yet, there is no universally agreed-upon biological definition of dreaming. It is unknown where in the brain dreams originate—if there is such a single location—or why dreams occur at all. General observation shows that dreams are strongly associated with Rapid Eye Movement or REM sleep. REM sleep is the state of sleep in which brain activity is most like wakefulness, which is why many researchers believe this is when dreams are strongest, although it could also mean that this is a state from which dreams are most easily remembered. In 1953 Eugene Aserinsky discovered REM sleep while working in Nathaniel Kleitmans sleep laboratory. Aserinsky noticed the eyes beneath the subjects' eyelids seemed to be fluttering during periods of their sleep. Kleitman suggested that Aserinsky use a polygraph machine to record changes in the brain during times when the eye movements occurred. During these sessions, Aserinsky began to notice patterns in the brain waves of the volunteers. During one session he awakened a subject who was crying out in his sleep during REM and confirmed an earlier hunch that dreaming was occurring. In 1953 Kleitman and Aserinsky published the ground-breaking study in Science. In 1976, J. Allan Hobson and Robert McCarly proposed the activation synthesis theory of dreams. This theory asserts that the sensory experiences are fabricated by the cortex as a means of interpreting chaotic signals from the pons. They propose that in REM sleep, the ascending cholinergic PGO (ponto-geniculo-occipital) waves stimulate higher midbrain and forebrain cortical structures, producing rapid eye movements. The activated forebrain then synthesizes the dream out of this internally generated information. They assumed that the same structures that induce REM sleep also generate sensory information. Hobson's 1976 research suggested that the signals interpreted as dreams originated in the brain stem during REM sleep. However, research by Mark Solms suggested that dreams are generated in the forebrain, and that REM sleep and dreaming are not directly related. While working in the neurosurgery department at hospitals in Johannesburg and London, Solms had access to patients with various brain injuries. He began to question patients about their dreams and confirmed that patients with damage to the parietal lobe stopped dreaming; this finding was in line with Hobson's theory. However, Solms did not encounter cases of loss of dreaming with patients having brain stem damage, which went against Hobson's notion of the brain stem as the source of the signals interpreted as dreams. Solms viewed the idea of dreaming as a function of many complex brain structures as validating Freudian dream theory, an idea that drew criticism from Hobson. Combining Hobson's activation synthesis hypothesis with Solms's findings, Jie Zhang proposed the continual-activation theory of dreaming, that dreaming is a result of brain activation and synthesis while, at the same time, dreaming and REM sleep are controlled by different brain mechanisms. Zhang hypothesized that the function of sleep is to process, encode, and transfer the data from the temporary memory to the long-term memory. In this model, NREM sleep processes the conscious-related memory (declarative memory), and REM sleep processes the unconscious related memory (procedural memory). Zhang assumed that during REM sleep, the unconscious part of a brain is busy processing the procedural memory; meanwhile, the level of activation in the conscious part of the brain will descend to a very low level as the inputs from the sensory are basically disconnected. This will trigger the "continual-activation" mechanism to generate a data stream from the memory stores to flow through the conscious part of the brain. Zhang suggested that this pulse-like brain activation is the inducer of each dream. He proposed that, with the involvement of the brain associative thinking system, dreaming is, thereafter, self-maintained with the dreamer's own thinking until the next pulse of memory insertion. This explains why dreams have both characteristics of continuity (within a dream) and sudden changes (between two dreams). A 2001 study showed evidence that illogical locations, characters, and dream flow may help the brain strengthen the linking and consolidation of semantic memories. These conditions may occur because, during REM sleep, the flow of information between the hippocampus and neocortex is reduced. Increasing levels of the stress hormone cortisol late in sleep (often during REM sleep) cause this decreased communication. One stage of memory consolidation is the linking of distant but related memories. Payne and Nadal hypothesized that these memories are then consolidated into a smooth narrative, the dream, similar to a process that happens when memories are created under stress. Lucid dreaming is the conscious perception of one's state while dreaming. The occurrence of lucid dreaming has been scientifically verified. Many people, including scientists and psychologists have started to acknowledge the benefits of lucid dreaming. If developed as a skill, a person who is able to achieve lucid dreaming can often explore the complexities of their sub-conscious, helping to deal with past trauma, fears, anxieties, and can promote mental health. While dreaming a non-lucid dream, the dreamer does not realize that they are dreaming. The classic example is a child dreaming that they are using the toilet who wets the bed because they do not realize that they are in a dream. This lack of awareness has led philosophers to the idea that one could be dreaming right now (or at least one cannot be certain that one is not dreaming). First formally introduced by Zhuangzi and popularized by Hindu beliefs, the dream argument has become one of the most popular hypotheses in support of skepticism. It was formally introduced to western philosophy by Descartes in the seventeenth century in his Meditations on First Philosophy. The theory of déjà vu dealing with dreams indicates that the feeling of having previously seen or experienced something could be attributed to having dreamed about a similar situation or place, and forgetting about it until one seems to be mysteriously reminded of the situation or place while awake. In one use of the term, "dream incorporation" is a phenomenon whereby an external stimulus, usually an auditory one, becomes a part of a dream, eventually then awakening the dreamer. There is a famous painting by Salvador Dalí that depicts this concept, entitled Dream Caused by the Flight of a Bee around a Pomegranate a Second Before Awakening (1944). The term "dream incorporation" is also used in research examining the degree to which preceding daytime events become elements of dreams. Studies suggest that events in the day immediately preceding, and those about a week before, have the most influence. ↑ N. Pesant, and A. Zadra, (2004). "Working with dreams in therapy: What do we know and what should we do?" Clinical Psychology Review 24:489-512. ↑ Schredl, M., Landgraf, C., & Zeiler, O. (2003). "Nightmare frequency, nightmare distress and neuroticism" in North American Journal of Psychology, 5, 345–350. ↑ Eugene Aserinsky and Nathaniel Kleitman, (1953) Regularly Occurring Periods of Eye Motility, and Concomitant Phenomena, During Sleep Science 4 (September 1953):273-274. Retrieved November 17, 2007. ↑ Jie Zhang (2004) "Memory Process and the Function of Sleep" Journal of Theoretics 6-6 Retrieved November 24, 2007. ↑ Jessica D. Payne and Lynn Nadel, 2004. "Sleep, Dreams, and Memory Consolidation: The Role of the Stress Hormone Cortisol." Learning and Memory :671-678 issn 1072-0502 Retrieved November 24, 2007. Acharya, Pt. Shriram Sharma (2000) Sleep, Dreams and Spiritual Reflections Retrieved November 24, 2007. Artemidorus. 1971. The Oneirocritica of Artemidorus. New Haven: University Microfilms. Crick, F. & G. Mitchinson. (1983) "The function of dream sleep." Nature 304: 111-114. Dieterle, Bernard and Manfred Engel (ed.) 2003. The Dream and the Enlightenment / Le Rêve et les Lumières. Paris: Honoré Champion. ISBN 2745306723. Freud, Sigmund, 1920. A general introduction to psychoanalysis. New York, NY: Boni & Liveright. Gackenbach, Jayne and Stephen LaBerge. 1988. Conscious Mind, Sleeping Brain: Perspectives on Lucid Dreaming. New York, NY: Plenum Publishing Corporation. Lippman, P. 1996. "On dreams and interpersonal psychoanalysis" Psychoanalytic Dialogues 6:831–846. Lippman, P. 2000. Nocturnes: on listening to dreams. Hillsdale, NJ: The Analytic Press, Inc.
Tarnow, E. 2003. "How Dreams And Memory May Be Related" Neuro-Psychoanalysis 5(2): 177-182. Retrieved November 24, 2007. The Case Against the Problem-Solving Theory of Dreaming. This page was last modified on 10 October 2017, at 16:04.